During our canoening trip the weather was very consistent. The high pressure was stuck on top of us. During the day there were some clouds, but in the evening the skies cleared. This meant a great showing of Aurora Borealis every night. 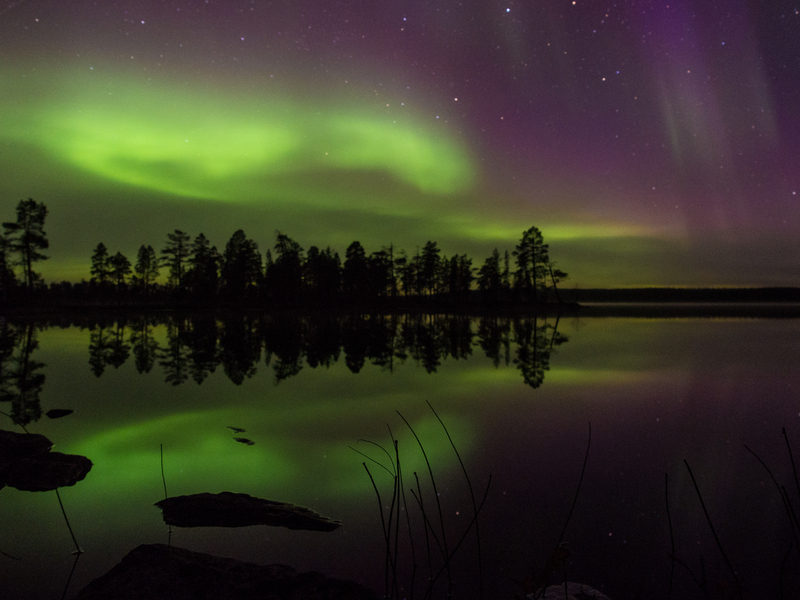 I have seen northern lights many times before, but this was something special. I hadn’t taken any photos of northern lights before, but with the expert help of my brother I learned a lot during this trip. Here are my favorite photos. This is my second picture of the northern lights ever. The first one didn’t turn out quite as well. So this is pure beginners luck. And actually I think this might be my favorite picture of the week. This is another picture from the same night. The lake was so calm, that the reflections were really good. 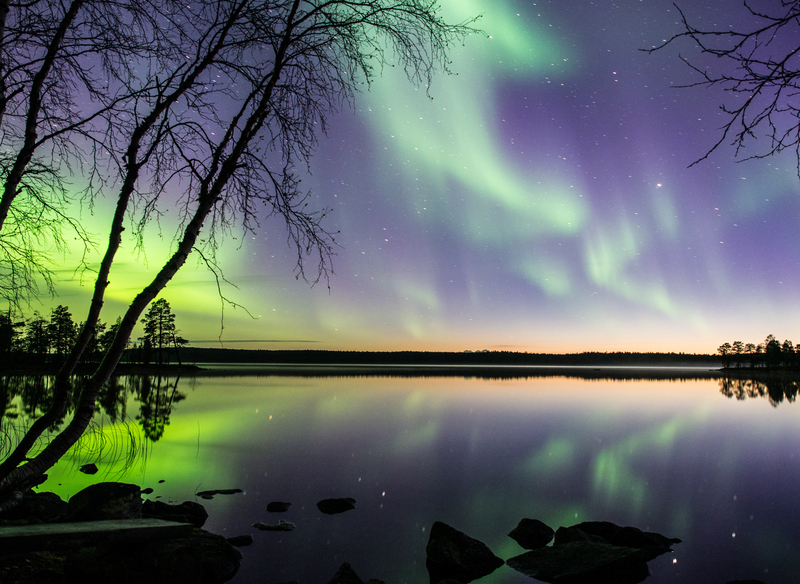 The Aurora Borealis are moving all the time, so you also need a bit of luck to get the picture at the perfect time. 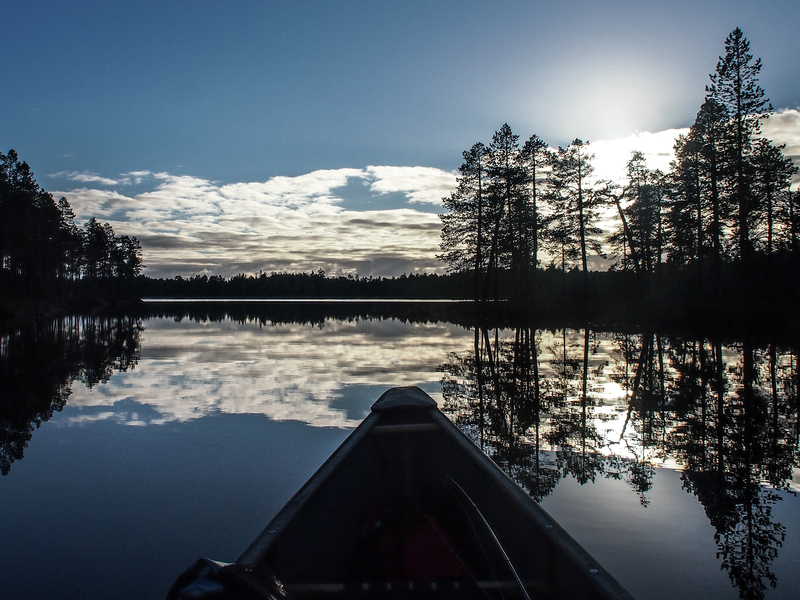 This photo is from the next evening as we had just pulled the canoes to the parking place in Øvre Pasvik National park. 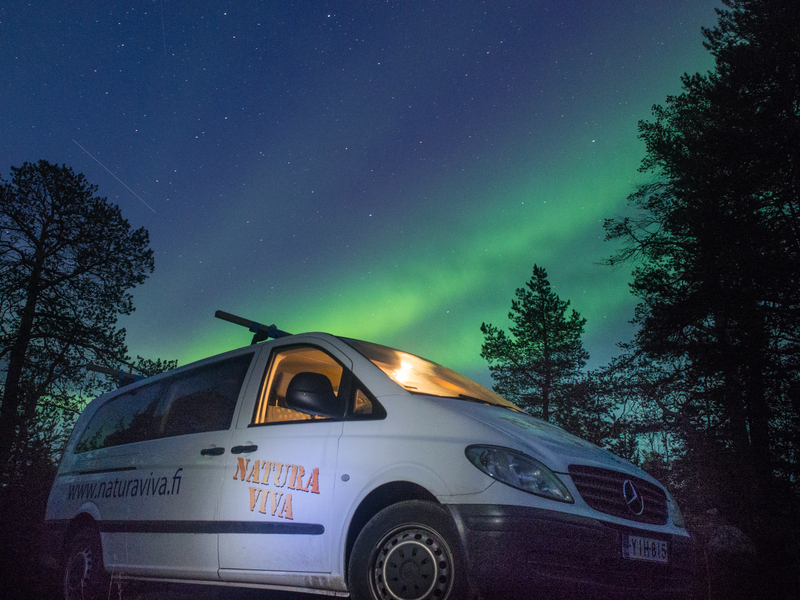 After dinner I saw the northern lights behind our van and I knew I had to get this picture. My brother is sitting in the van and my father helped light the side of the car with his head torch. There was a nice small rapid at the parking place of the national park. Already during the day I was looking at this spot and thought it would be a great place to take a picture. This is just as the sun has gone down. Our last night in the wild. The tents are just a bit right from the picture. It was really hard to go to sleep when it looks like this outside. 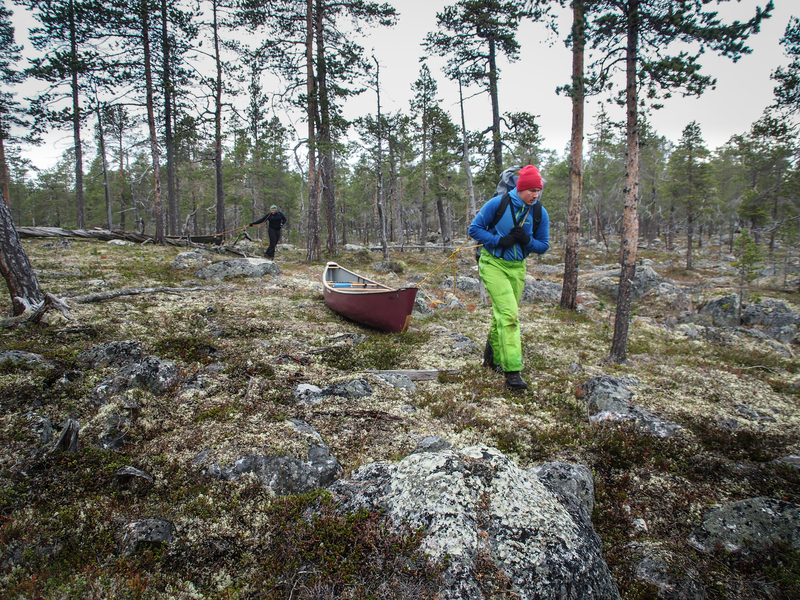 After our paddling season ended in Helsinki, we headed north. 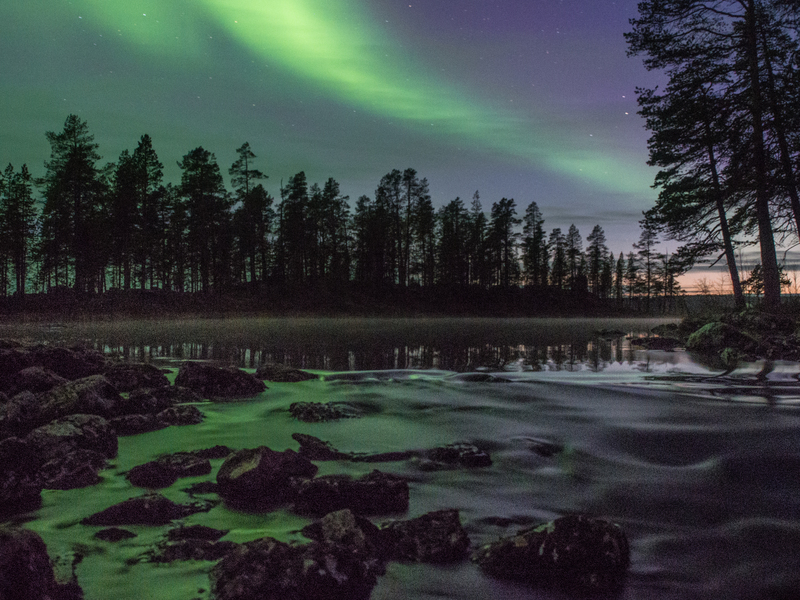 October is normally a great time to explore Lapland. 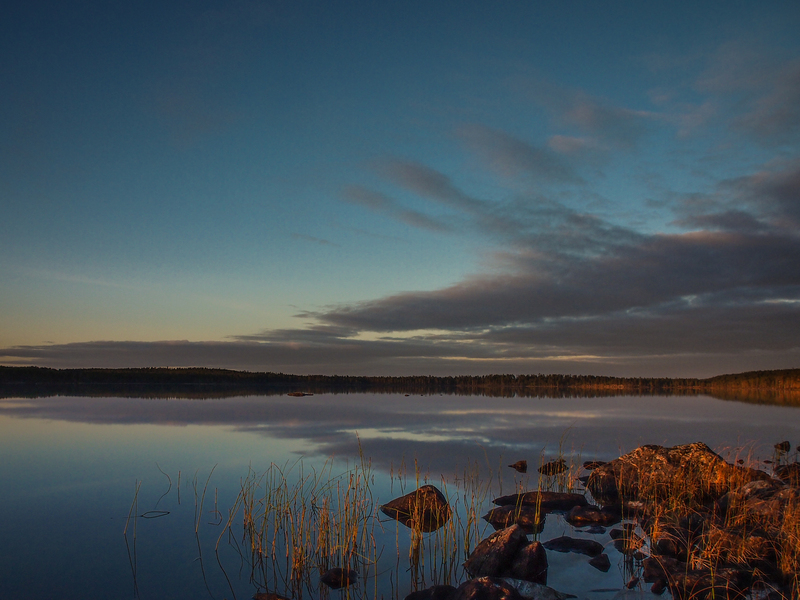 One of my favorite destinations is the Vätsäri Wilderness area just north of lake Inari. This time we continued a bit further and all the way to Norway. The exact location was Sør-Varanger, the small slice of Norway between Finland and Russia. Our plan was to start a few kilometres north from the actual Øvre Pasvik National park. There is a chain of small lakes with short portages in between. We first started towards the west and we were supposed to turn south towards Ellenvattnet, the largest lake in the national park. Well everything didn’t go as planned. The weather was just stunning all week. Clear and sunny, no rain and no wind at all. Of course the clear skies meant, that it was also quite cold during the nights. The second night of our trip was really cold, about – 15 degrees Celsius. As we crawled out of our tent, we realized that the lake was completely frozen. 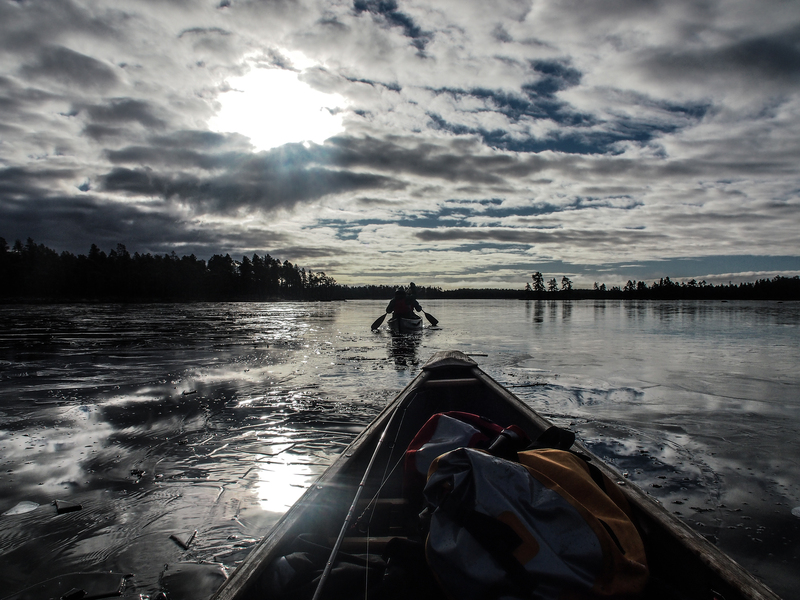 The ice was not more than 1-2 centimeters, but it was still impossible to continue by canoe. The next day we pulled the canoes to the closest road. The total distance was about 3 kilometres and luckily the bigger lake close to the parking place of the national park was still open. This still took us the whole day. After pulling the canoe back to the road, we continued hiking in the national park. During the whole week the weather stayed perfect. We enjoyed the beautiful sunsets and the calm weather. We spent two nights in the open huts and four nights in tents. 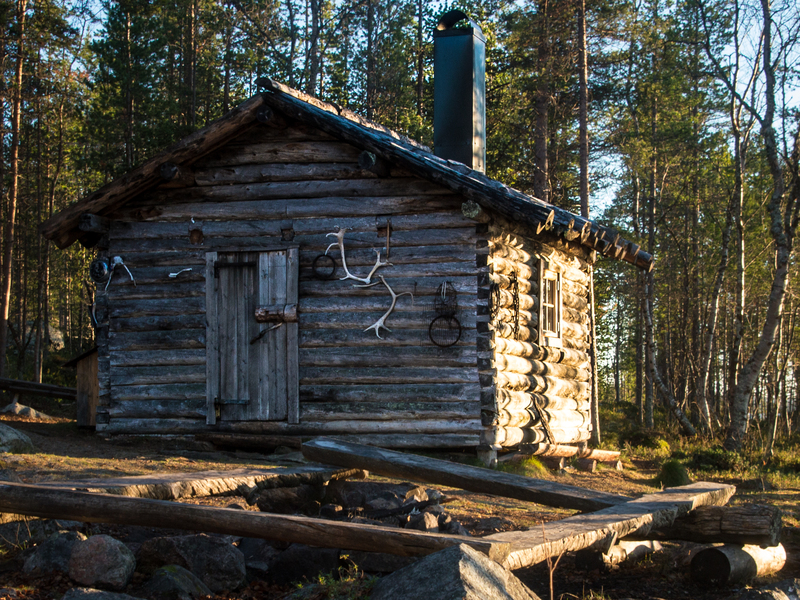 This hut on the shore of Ellenvattnet lake was just perfect. Although everything didn’t go according to plans, it was a fantastic week. We enjoyed the beautiful nature and the complete silence. 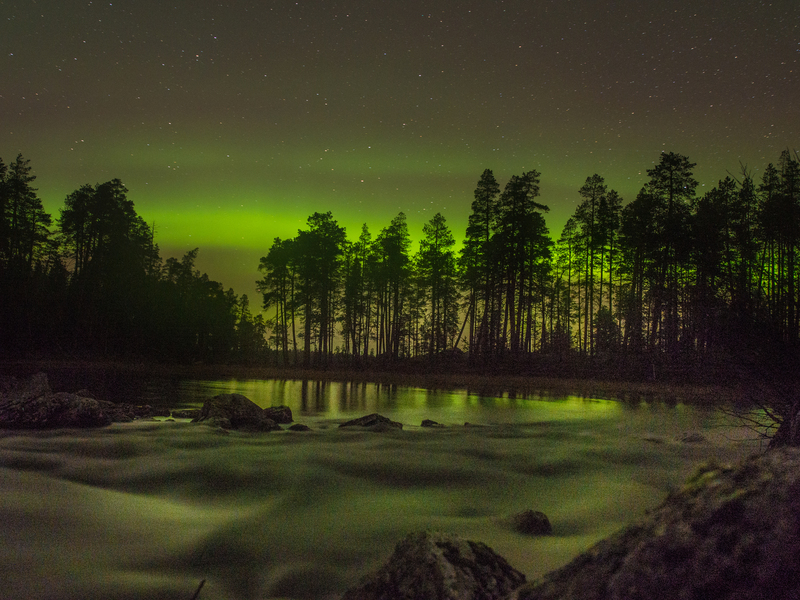 My next post will show some of the Northern Lights we saw during our week.